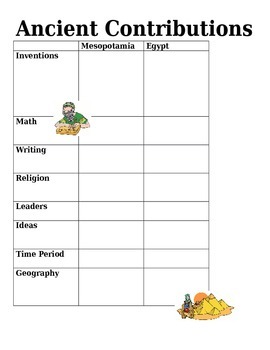 In pairs, students will research Mesopotamia, Egypt, Persia, Assyria, China, and India. (Other ancient civilizations can be easily added). A list of mandatory words are provided for each of these civilizations. 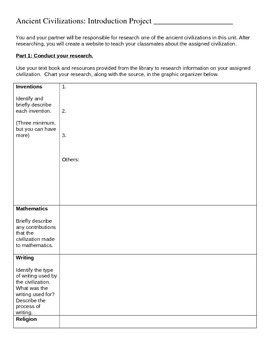 Students will use the internet to complete a research graphic organizer about the assigned Ancient Civilization. Students will use their classmates classmates websites to complete a graphic organizer. 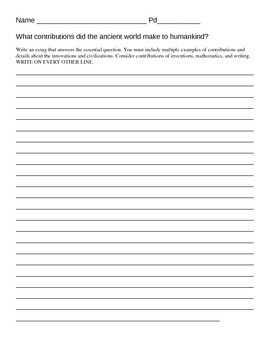 Students will write a reflection essay on the defining characteristics and contributions of the civilizations. 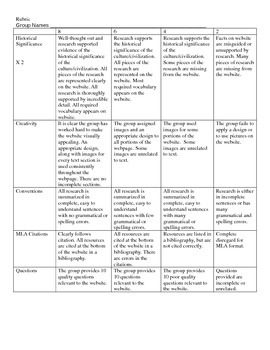 Can be used as an introduction or as a end of the unit project.